After a delicious Keto Dinner, sometimes I need a little something sweet. With Good Dee's Mixes, it takes only a minute to whip up a scrumptious Keto Dessert! I especially love the Brownie and Blondie Mixes. Until now, I hadn't found many Keto recipes for tray bakes. With Good Dee's Brownie and Blondie Mixes, I can make enough for Keto goodies for a whole party or half the ingredients and make just enough for Kaia and I to enjoy for a couple of days. Sometimes baking on Keto can get a little complicated, but Good Dee's Brownie Mix is so simple. All you need to do is add 2-3 eggs (based on desired fluffyness) and melted unsalted butter or coconut oil. I like fudge-y over cake-y brownies, so I make mine with 2 eggs and 1/2 a cup of melted Vital Farms unsalted butter. It's that easy- Stir it up and put them in the oven. I love that Good Dee's Mixes are gluten-free, sugar-free and use quality ingredients. They never use Maltitol or soy flour in thier mixes. Each serving only contains 1 gram of net Carbs. 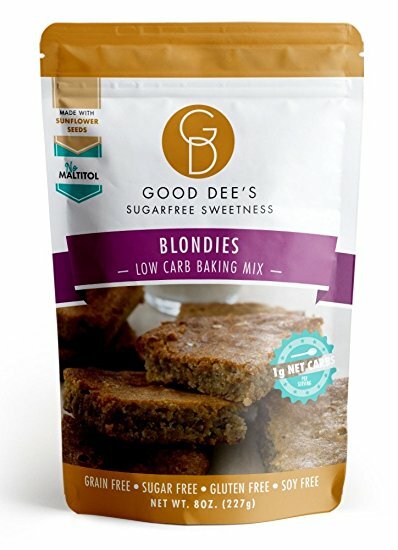 Good Dee's also makes a Blondie Mix. I don't know what kind of person doesn't like chocolate, but if you are baking for a party it's a good idea to add some chocolate free goodies to the mix. Again, this mix is so simple! Just add a couple of ingredients, stir, and you are sure to have a crowd pleaser. Good Dee's Blondies make a beautiful base for a more decadent dessert. Try topping these Blondies with strawberries and heavy whipping cream for a summer time dessert. Or pop some Halo Top ice cream on top for the perfect restaurant style dessert. 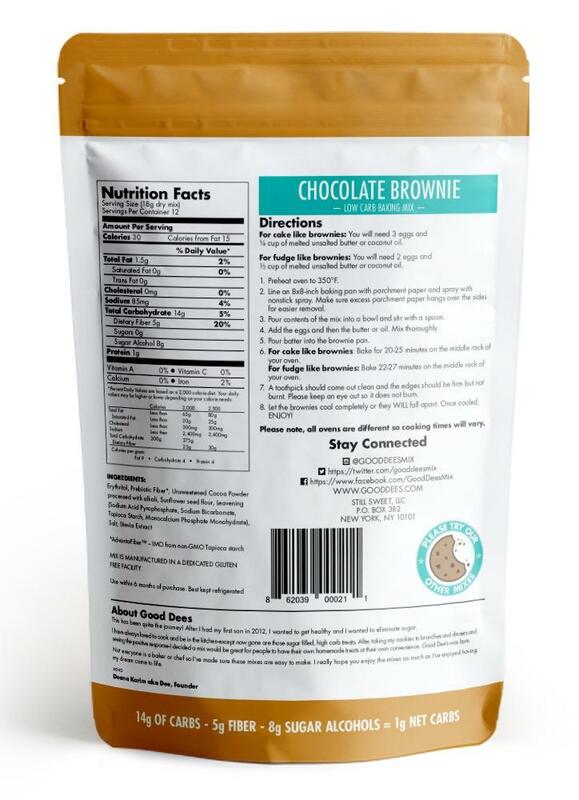 Get 15% off of all Good Dee's Mixes when you use the discount code KETOINTHECITY at check out.